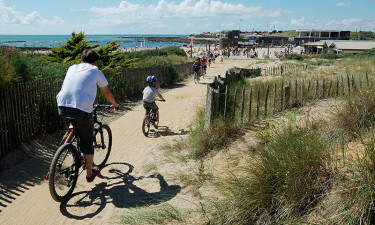 Close to the bustling fishing town of Saint-Gilles-Croix-de-Vie on the west coast of France lies the wonderful Les Dunes luxury camping site. This premium location is the ideal base for lazing on the beach and exploring the surrounding nature. 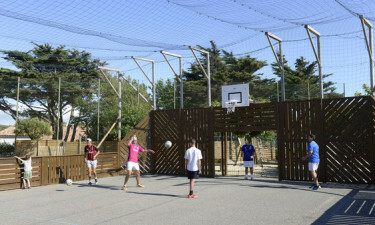 The site has been specially designed to keep the whole family entertained, with live shows in the evenings and a busy sports area. Holidaymakers who want to relax in the sun can book their camping holiday at Les Dunes with LuxCamp. There's never time to get bored at this thriving luxury camping spot. From the serenity of a stylish mobile home, you can head out onto the site for a day filled with fun. 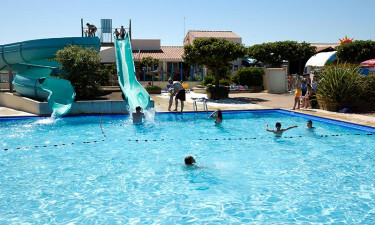 Why choose Camping Les Dunes (Bretignolles-sur-Mer)? This site has every amenity and service at your fingertips. Both the indoor and outdoor pools are heated and come with slides and play areas for children. There's also a charming paddling pool with a fountain to splash around in, and sun loungers for adults. The beach is only a gentle 150-metre stroll from Les Dunes. The coastline here is beautiful, with a large expanse of white sand, interesting rock pools, and tracks for hiking and cycling.